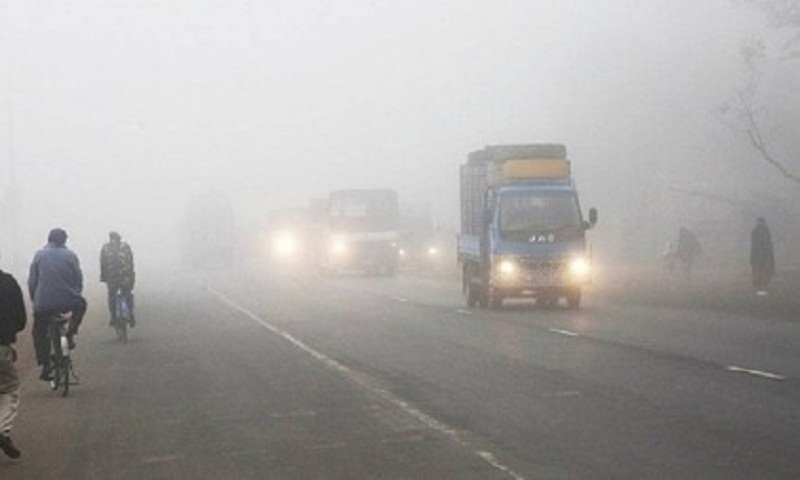 Light to moderate fog occurred at places over the country during midnight till Saturday. Mild to moderate cold wave is sweeping over Mymensingh Division and the regions of Tangail, Faridpur, Madaripur, Goplaganj, Rajshahi, Pabna, Dinajpur, Panchaghar, Satkhira, Jashore, Chuadanga, Barishal and Bhola. Weather may remain dry with temporary partly cloudy sky over the country. The sun sets today at 5.36 pm and rises at 6.52 am tomorrow in the capital.